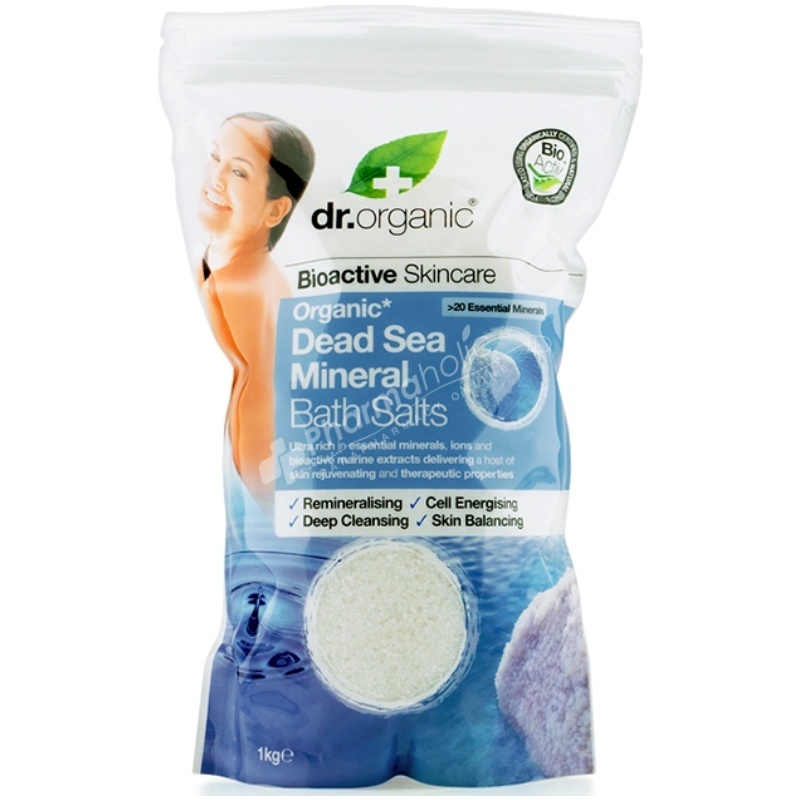 Dr Organic 100% natural Dead Sea Bath Salts are formulated with a proprietary blend of organic bioactive marine extracts to maximise the beneficial health properties of the Dead Sea. Dr. Organic 100% natural Dead Sea Bath Salts are formulated with a proprietary blend of organic bioactive marine extracts to maximise the beneficial health properties of the Dead Sea. The waters of the Dead Sea are unique, having a total salt concentration that is 10 times higher than ocean water, reaching 30% as opposed to 3%. The composition of the saltwater is also unique, comprising of magnesium, potassium and calcium chlorides, in addition to a high concentration of bromides. Paraben free - SLS free - Fragrance free - Artificial colours free - Harsh preservatives free. Formulated using biologic agriculture certified & natural extracts. Add 2 handfuls to a nice hot bath.